DAVID LE/Staff photo. 4/29/15. Danvers junior captain Madison Mucci ropes a double into the right-centerfield gap, scoring senior captain Caitlin McBride to give the Falcons a 1-0 lead. 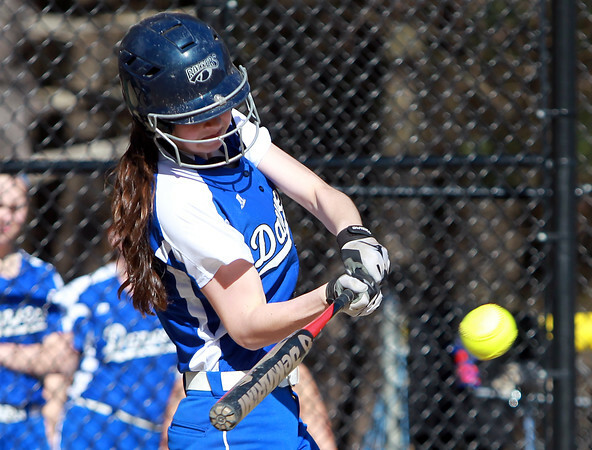 Mucci's RBI proved to be the only scoring of the game, as Danvers defeated NEC rival Peabody 1-0 on Wednesday afternoon.